Reviews are the cornerstone of a publication’s success and longevity. 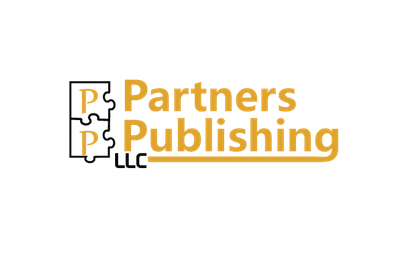 All marketing kits for manuscripts published by Partners Publishing LLC include pre-press reviews penned by relevant and authoritative persons to maximize the successful of each book launch. Following are a sampling of reviews for both nonfiction and fiction books published by Partners Publishing LLC. suspect they are suffering from mold poisoning. My second grade class loves following Ruby’s adventures in the Super Bouv series. Ruby emphasizes the importance of the relationship a dog has with its family. The Super Bouv series easily aligns with many common core standards, and the books can be used to “read across the curriculum”. My students can’t wait to hear more from Ruby! My students enjoyed the Super Bouv series immensely! Ruby is quite a character and the students loved the way she cared for her owners. It was exciting to learn about service dogs and how they help others live healthier and safer lives. The characters are friendly and loveable and the students can’t wait to read more about the adventures of Ruby. I purchased these books; my grandson and I enjoyed reading them. Wonderful stories! exposure—best illustrated after floods and hurricanes. The stories in the Super Bouv Series are so adorable that instead of sending the books to my grandchildren, I ordered another set for them and kept the first set for myself! As a successful classroom teacher for 33 years, I find the Ruby stories full of potential in teaching life-long lessons that are sure to expand even the youngest minds. Vada S. Bogart,, Ed. D.
pharmaceutical treatment options in the field. My students love the Super Bouv series! Ruby’s endearing personality and quest for purpose has us rooting for her from the beginning. The books bring awareness to environmental toxins and their danger to well-being. Ruby’s adventures easily align with Common Core lessons on community helpers, the senses, environmental toxins, geography, safety and health. I am eager for Ruby’s further adventures! necessity), that is truly second to none. Excellent books. I gave them as gifts last year. Beautifully done! on the procedures that mold inspectors use to examine houses for mold. The style and format of is very “user friendly.” I feel like I am standing in the doorway of the Billings’ home having an enlightening conversation. The multitude of references at the end of each chapter adds a great deal of credibility and turns the book into a collection of readings. The transcripts of the interviews at the end of the book are going to be a great asset to readers. If there is anything you ever wanted to know about mold, the best book to learn it from is MOLD: The War Within.